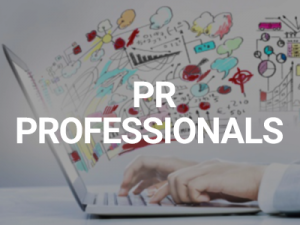 As a PR pro, you still need to reach top-tier press contacts and secure coverage that can potentially impact revenue, fundraising or lead generation goals. An out-of-date news wire service doesn’t quite do the job anymore. With improved press release distribution, PRWeb helps you reach everyone you need, from business press to trade, while taking advantage of social media and the blogosphere. Secure more media coverage by reaching top-tier business, trade and local press contacts. Integrate social media through Twitter, Facebook, and LinkedIn to spread the word fast. Align PR efforts with the company’s overall marketing strategy to assist with new customer acquisition. Broaden your press release distribution by reaching more than 250,000 opt-in news subscribers and 30,000+ journalists and bloggers. Be seen online when your news is permanently hosted on PRWeb.com, the world’s #1 news release service.